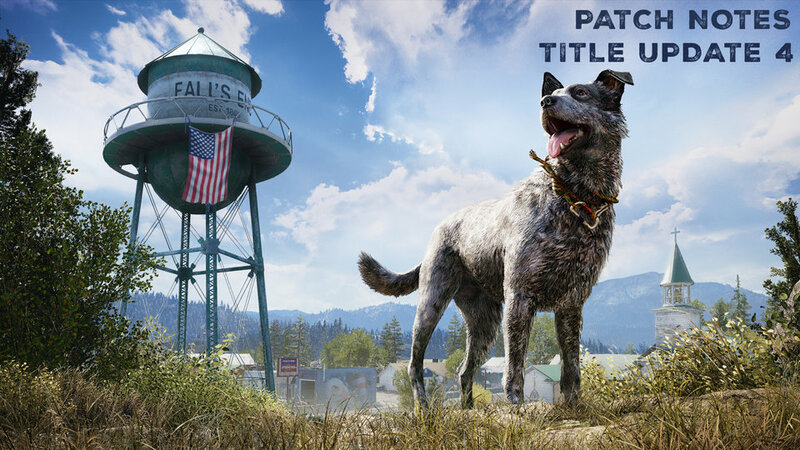 Far Cry 5's fourth update, pushed last week by Ubisoft on PC, is available today on PS4 and Xbox One. Several highlights in the update include Arcade benefiting from improved PvP matchmaking, map textures and download efficiency, and load-out selection. A number of connectivity issues in co-op were addressed as well. Ubisoft fixed multiple bugs, such as being permanently muted in-game and players being unable to purchase silver bars. Other updates include preventing Hurk from blowing up the client player when in a helicopter, possible save corruption, and crashes. The rest of the updates are as follows. Hurk was blowing up the client player when in a helicopter, fixed that.